Chill out, reflect on the news and lower your blood pressure. The Stranger leaves you with sweet nothings, embarking on a hiatus with Ze Black Waffle to fight the Robot War for the Future. Readings, reflections, recordings and ravings of a mad Southern gentleman and his friends, enemies, fans and musical infleunces and influencees. 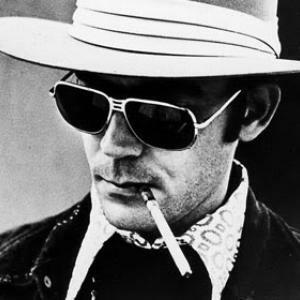 The Stranger gets gonzo on the air with DJ C-Foo and a whole lot of audio psychotropics as tribute to the late, great journalistic genius, Dr. Hunter S. Thompson. Because when the going gets weird*, the weird turn pro. that it was some artist or amateur.